This has definitely been a whirlwind week for me and tomorrow is my son’s 18th birthday, I still can’t believe it, where has the time gone? 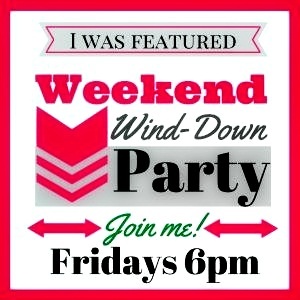 Before you gear up for Super Bowl Sunday we hope that you’ll share a few of your favorite posts at this Weekend’s Wind-Down Party. Last weekend’s party was great where I found some awesome recipes, fashion tips and home/garden decorating ideas so thank you all for sharing. 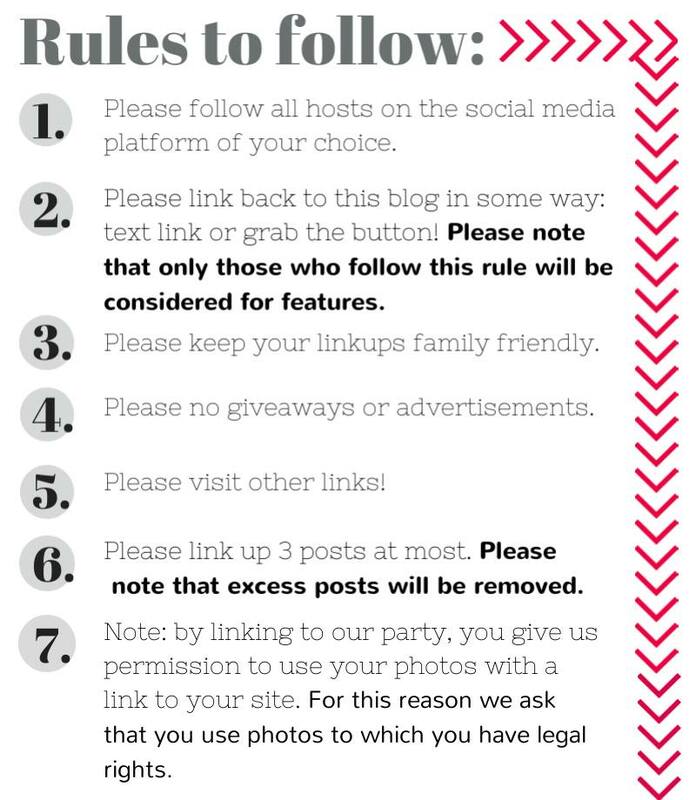 We have chosen the following posts to be featured this week and they are also posted on our Pinterest Board. Please feel free to copy and paste this “I Was Featured Button” to your blog. Now Meet Your Hosts Because We Love Meeting You! When Your Baby Turns 18! I’m rooting for the best snacks and commercials 😉 Your baby is going to be 18 and my grandbaby will be 10 soon! Me too, I bought the ingredients for Guacamole and Salsa and can’t wait to see the new Cheerios commercial! Thank you for sharing and caring, I love your posts. Enjoy the weekend. Yes, I have read and learned so much in these few short weeks. I was so excited to find this link-up again. Last week a made a recipe that I was posted called Twice Baked Baked Potatoes and then I made the slow-cooked lemon and rosemary chicken that you posted Antoinette! I am so glad that you found us! How was the chicken, are you going to do a post? Have a wonderful weekend lovely lady! I love this linkup – thanks for hosting and happy weekend!! P.S. Happy birthday to your son!! Thank you my dear, can’t wait to read about the #BLMGirls DMV Meetup! Thank you for the Feature! I was so surprised! Well thank you for sharing…we loved reading your post. Happy weekend.